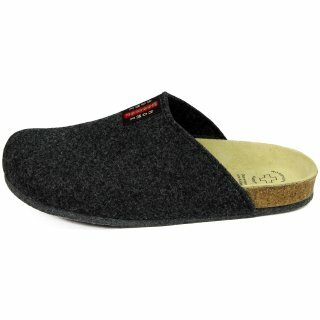 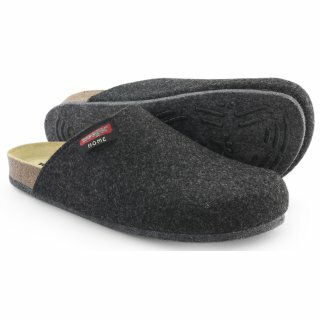 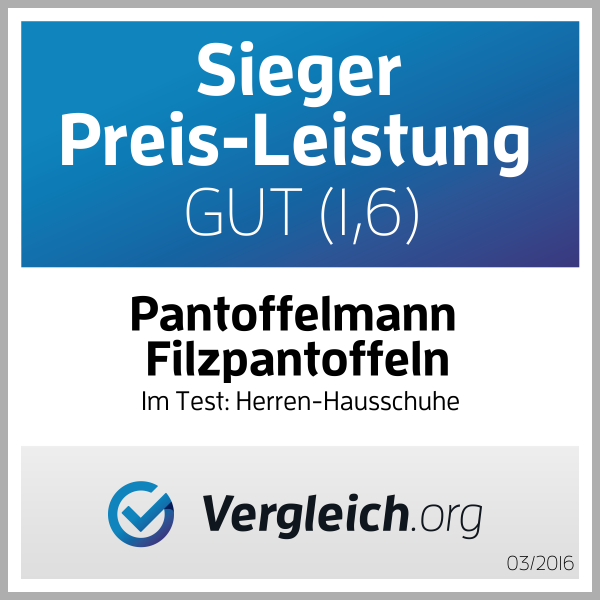 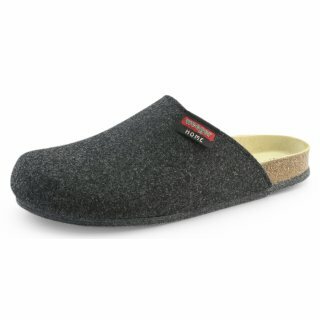 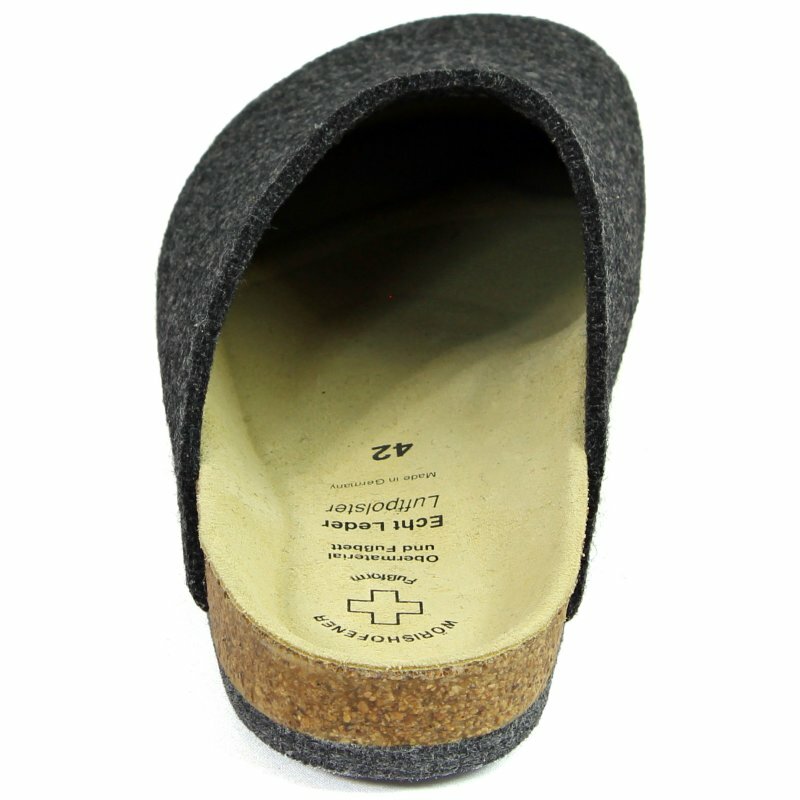 High-quality organic Slipper with ABS-insoles for men and women, stem from a cozy wool felt, anatomic cork - footbed of Wörishofener. 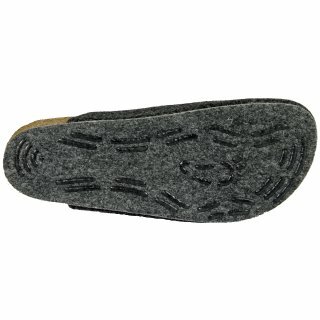 Your special felt sole with non-slip ABS-coating enables comfortable, gentle walking and protects this modern flooring such as parquet, laminate, smooth flooring or tiles. 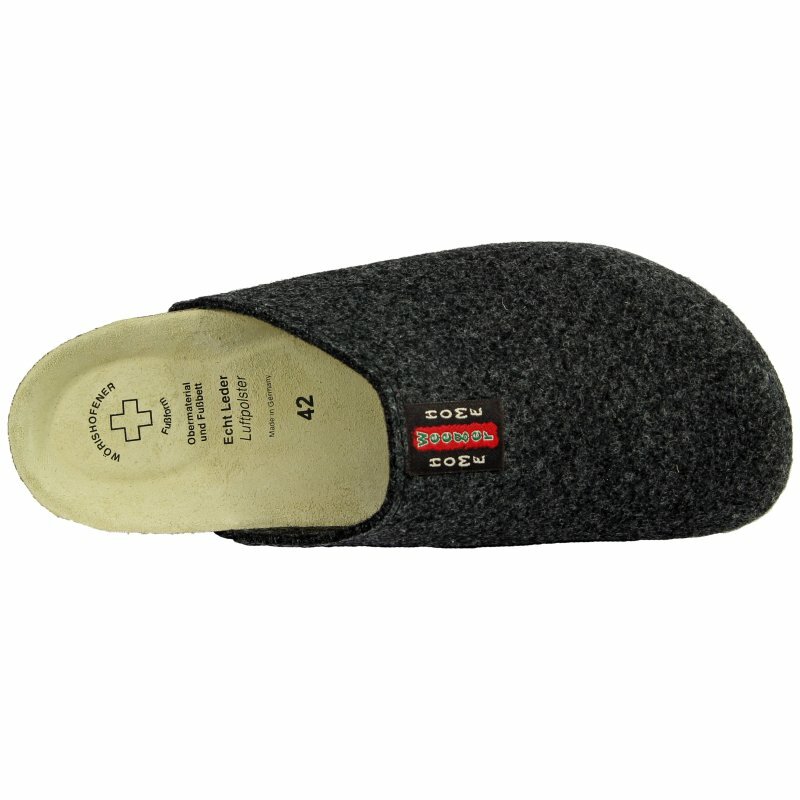 The felt used has outstanding thermal insulation and thus provides a guarantee for warm feet. Shaft material exclusively from hard-wearing felt with a share of at least 70% wool.